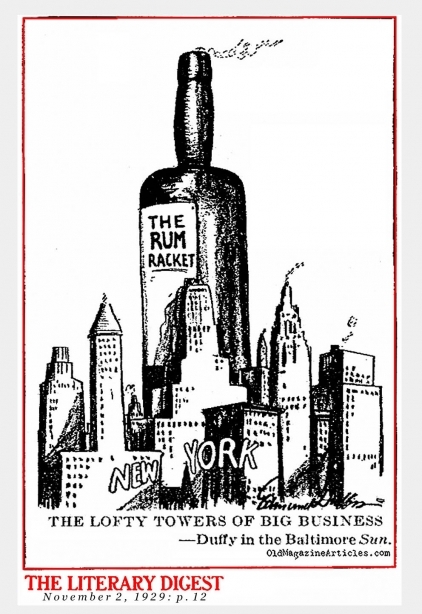 Prohibition had been in place for a little over eleven and a half years by the time this uncredited editorial was published. The column is informative for all the trivial events that Prohibition had set in motion and are seldom remembered in our own time - such as the proliferation of private golfing institutions; clubs that intended to appear innocent enough, but were actually created for "Wet" dues-paying golfers. The LITERARY DIGEST article posted below examined the phenomenal wealth that had been earned by the gangsters in America's biggest cities.